Toshiba's stock tumbled on Monday after the company posted a staggering loss, amid a major $1.26 billion accounting scandal. The company reported on Saturday a huge operating loss of 90.5 billion yen ($734 million) for the first half of the year. 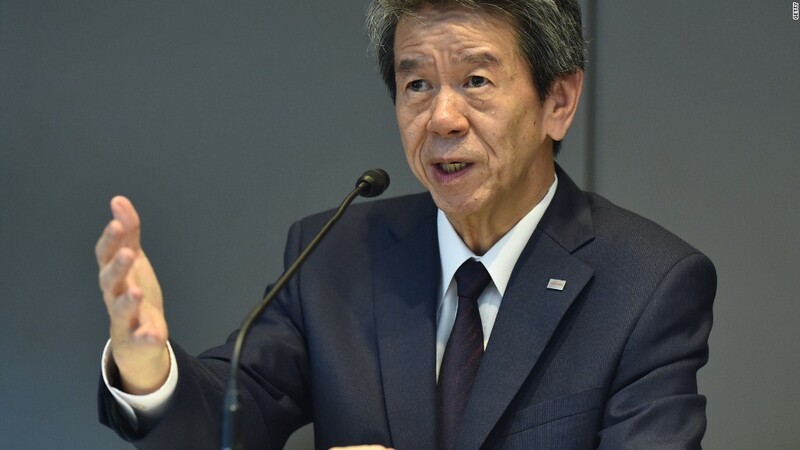 Toshiba (TOSBF) also announced that it was suing five former executives -- three former CEOs and two former CFOs -- seeking 300 million yen ($2.4 million) in damages over alleged poor oversight that led to over a billion dollars in faked profits. The unusual weekend announcement was likely designed to cushion market shock, but investors still drove Toshiba shares down 7.5% on Monday in Tokyo. Its stock has now nosedived about 40% this year. Saturday's financial results were "a categorical disaster, with more skeletons coming out of this massive closet of theirs," wrote Bernstein analyst Mark Newman. Toshiba has been suffering for months, after it was revealed the company was inflating profits. The scale of the accounting scandal has continued to grow, forcing CEO Hisao Tanaka to resign in July. Other company executives have also stepped down, and Toshiba has resorted to correcting earnings from previous years. The headache started in April, when Toshiba itself began investigating accounting practices in its energy division. Things got worse in May, after the company said an independent committee would be taking over the review. Toshiba even canceled its year-end dividend and postponed earnings, prompting analysts to downgrade investment recommendations and earnings forecasts. Toshiba was founded in 1875, and quickly made a name for itself introducing technological advancements in Japan from electric washing machines to refrigerators, and later, the world's first color TV. It's now one of the world's most recognizable consumer electronics brands.